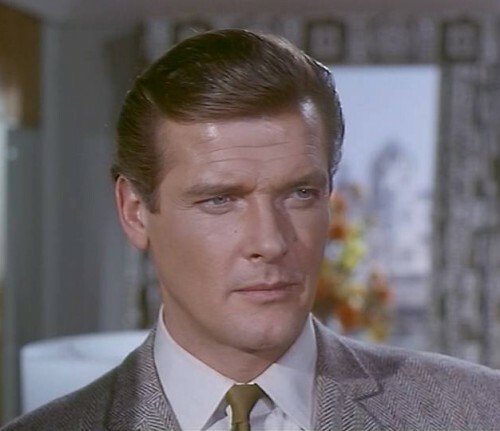 Roger Moore is a famous British actor who will perhaps always be remembered for his role as James Bond in seven of the 007 series films from 1973 to 1985. As he played the role of a dashing spy, Moore also found himself a home fit for James Bond in the glamorous Principality of Monaco. He came from considerably humble beginnings, born on October 14th 1927 in London, England to his policeman father and housewife mother. He was a good student, attending prestigious schools and was also a talented swimmer. However his passion was to act, and so at the age of 15 he chose to drop out of school to pursue a career in acting, becoming an animation apprentice at a London film company as his first job in the field. Moore’s rise to fame proved to be quite an uphill battle; he was quickly fired from his first job, it was difficult to be recognized and land important roles, and his budding acting career was interrupted at age 18. Shortly after World War II ended, while he was attending the Royal Academy of Dramatic Arts paid for by director Brian Desmond Hurst who saw the potential in Roger, he was drafted into the military. He was stationed in Germany for about three years, during which time he married his first of four wives actress Doorn Van Steyn, before he was able to return to London to continue his career where he left off. His desire to pursue his acting dreams kept him inching forwards regardless of the difficulties thrown his way. In 1953 his battle led him to America, where he was welcomed with open arms for his good looks and skills as an actor, as well as his performance in his first TV show World by the Tail. It was during this period that Roger Moore finally got the attention he deserved. Major Hollywood Studios were suddenly interested in this British gentleman, and soon after Moore signed his first contract with MGM he appeared in his first big role in The Last Time I Saw Paris (1954). Disappointedly though, after starring in a few other movies for MGM, his time with this production company proved to be fruitless as Moore was still far from becoming a Hollywood star. This prompted Roger Moore to try his luck elsewhere, signing next with Warner Bros, the company that would finally propel his career into stardom. It was with this production company that Moore began to star in popular TV shows, including The Saint (1962-69) that made him a household name. It was thanks to his performance in that show and in the 1970 film The Man Who Haunted Himself that he proved himself as an actor and ultimately landed the role that would completely revolutionize his career: James Bond. 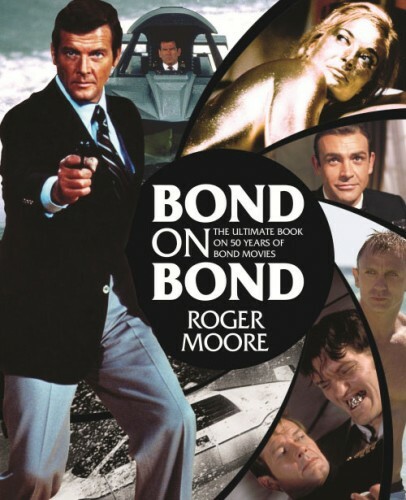 Roger Moore effectively replaced the previous 007 agent, Sean Connery, who was tired of playing the role, and in 1973 he filmed his first film with the franchise, Live and Let Die that ended up being a great success, as it grossed more than the previous film starring Connery. A great start for Moore who went on to film another six Bond films! 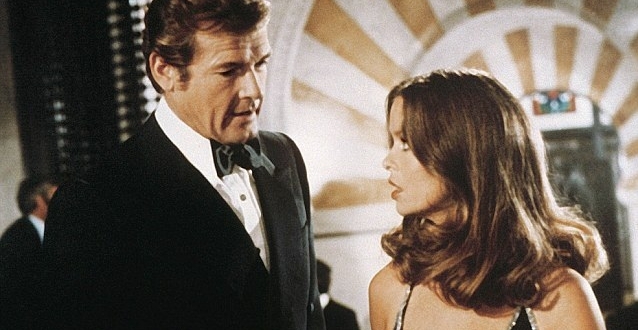 In 1985 he had enough of playing the part of a dashing spy and announced his retirement from the series, and though he still appeared in several other movies post-Bond, none would reach the same levels of success as the Bond series. 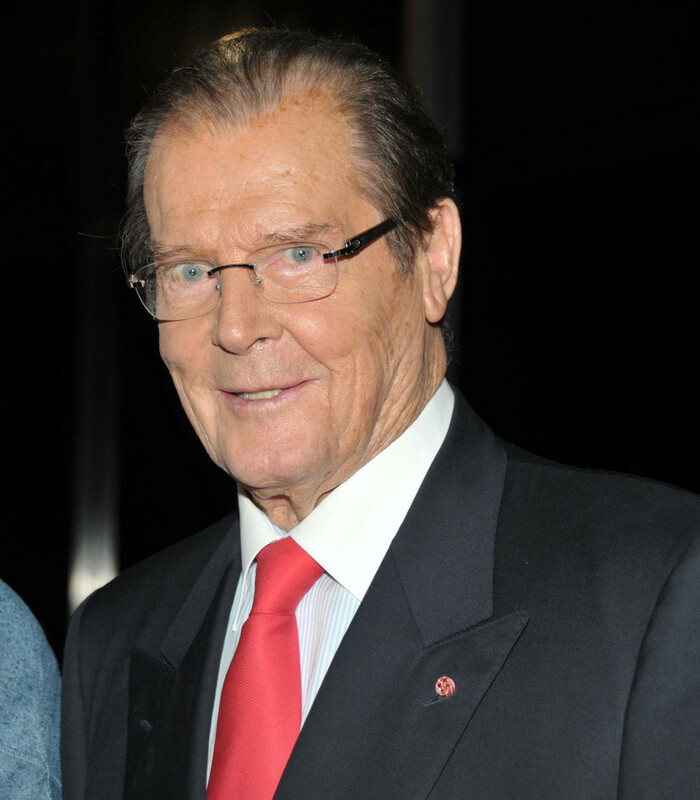 Not only did Roger Moore fight to be successful but also fought against various health scares throughout his life, including prostate cancer, heart trouble and type II diabetes, as well as three failed marriages. 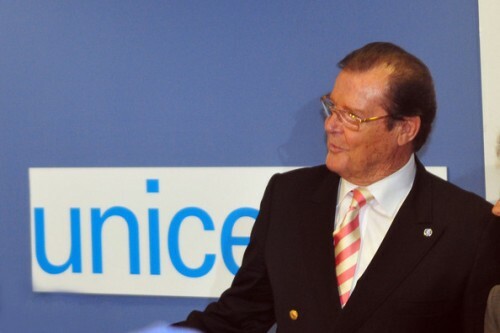 Nevertheless he remained charitable, serving as UNICEF Goodwill Ambassador since 1991 and receiving an International Humanitarian Award from the London Variety Club for his involvement in various charities. 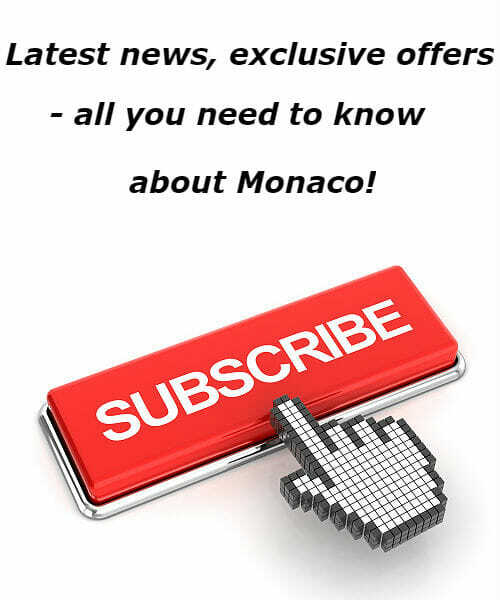 Moore now lives in Larvotto, the Principality’s seafront, from about 2002 when he met his current wife Kristina Tholstrup at a dinner party in Monaco; the two quickly fell in love and set up a home together on the Côte d’Azur. Roger Moore speaks fondly about his adopted home, Monaco, describing it as a town with no envy, “the only place in the world where you can park a Bentley without someone coming along with a key and scratching it”, and says he enjoys the social life. The absolute security of the Principality is also an appealing factor, as well as the pretty sea views from his Larvotto home.